How can you create an authentic voice that conveys your values as an artist, a professional, and a citizen of the world? How can you produce social content that brings your work to expanding networks of journalists, curators, critics, and collectors? How can you combine social media and face-to-face networking to share information, gain visibility and cultivate professional opportunities? Join us for an evening with journalist, editorial strategist, and social media maven, Robin Cembalest, as she offers her expertise to artists. 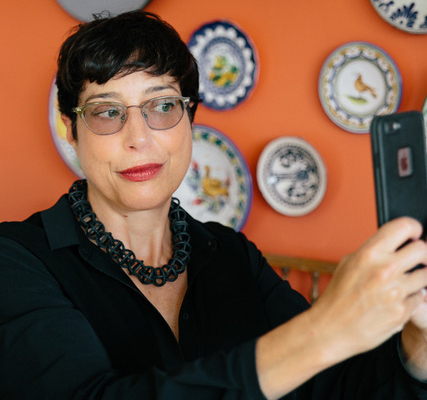 Described by artnet as “one of the leading lights of art-world social media,” Robin Cembalest and her consulting business, Robin Cembalest Editorial Strategies, works with art-world clients to design and implement editorial and digital content. She also founded and directs the Niboristas, a mentoring and networking group for art-world professionals. The former longtime executive editor of ARTnews, she has published widely in The Wall Street Journal, W magazine, and many other publications, and maintains popular feeds on Instagram and Twitter. This program is taking place in conjunction with the OPEN (C)ALL: TRUTH exhibition, on view November 6 - December 17, 2017. - Admittance is first come, first admitted, as space is available. - RSVP's preferred, but you do not HAVE to have an RSVP to attend the event.